Good Morning! Hello Weekend!!! 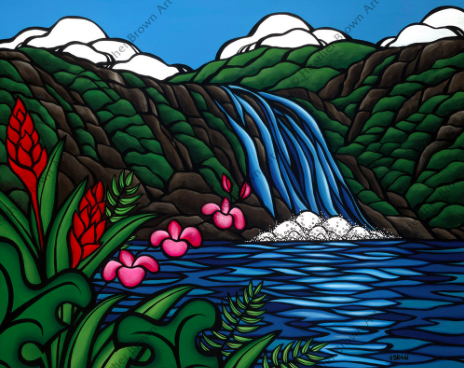 I just released a matted print of my piece Waimea Falls! You can check it out on my website HeatherBrownArt.com and this weekend if you use the code EARTHDAY at checkout, you will get FREE domestic shipping!